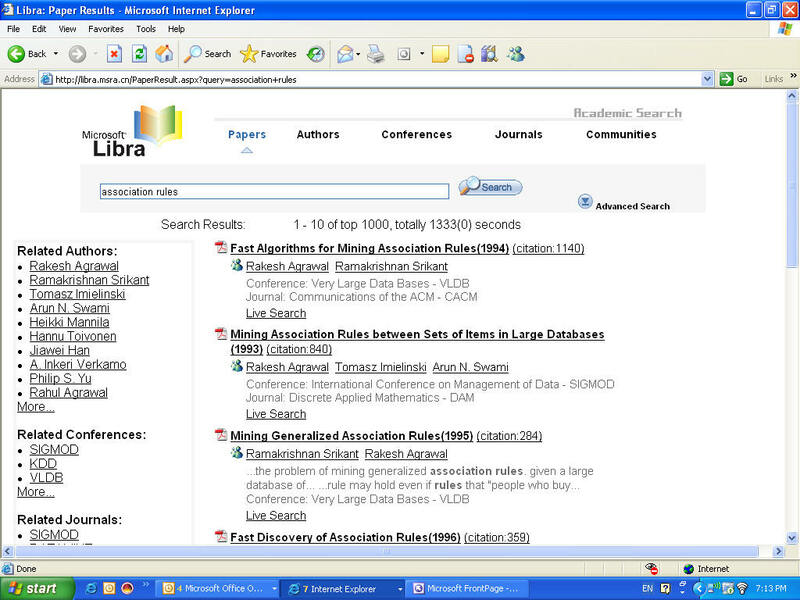 In 2007 the scientific search engine Libra, developed by Microsoft Research Asia and successor of Windows Live Academic, was launched. With Libra, Microsoft introduces an object-oriented approach. For Libra, central elements of scientific publications (author, location, organization or topic) are extracted and classified from web pages, web databases (such as DBLP, CiteSeer or ACM Digital Library) and PDF documents and the information on the objects (cited by, published in) is summarized in so-called web objects. In addition to the documents, conferences and journals are also indexed as separate object classes. These different objects in turn form a so-called "Object graph", which also contains the relationship between the individual objects. The objects each have a different relevance, which flows into the ranking. 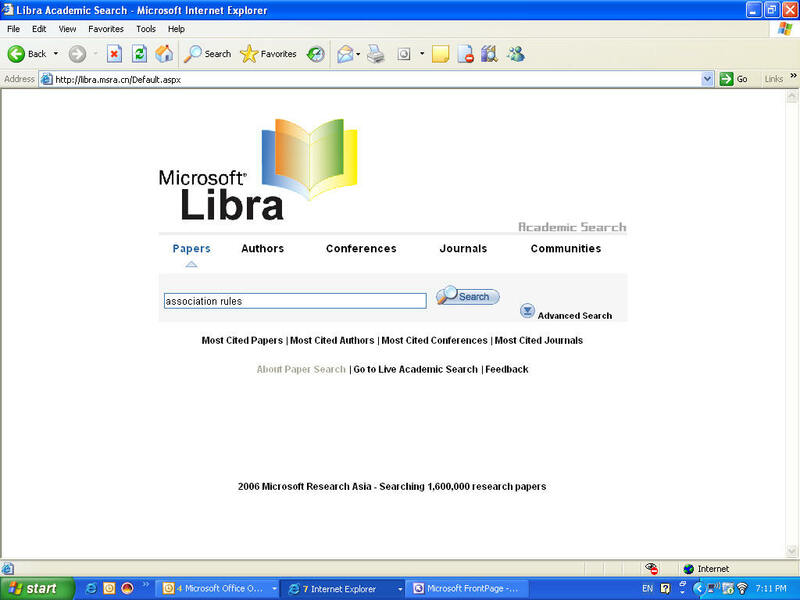 In 2009 Libra will be replaced by Microsoft Academic Search.